Some types of employment may be out of reach once you get a DUI conviction. For example, if you dream of teaching children or working in a daycare, your conviction may put you out of the running for these types of jobs. As well, you’re unlikely to be selected when you apply for a job driving a city bus or something of that nature. Any job where driving is a central task may not be accessible to you. No one wants a DUI conviction and there are good reasons to avoid one at all costs. If you’ve been charged with this type of offense, the key to fighting the charge is retaining the services of a talented and experienced RI DUI lawyer. If you already have a DUI conviction, it’s not too late to try to fix things. When you hire an RI DUI attorney with a great track record, you’ll be able to ask him or her to try and get your DUI record expunged from your permanent record. Quite often, this is possible. 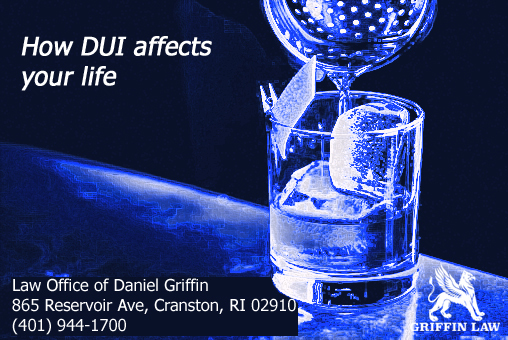 Today, we’d like to talk about all of the ways that DUI convictions affect people’s lives. We want you to know that trying to get your record expunged is the best way to avoid the downside of a DUI. A skilled drunk driving lawyer understands DUI law in your state inside and out and he or she will be able to fight tooth and nail to get your conviction expunged. When it is expunged, you won’t need to let prospective employers know about your conviction on job applications and during interviews. Criminal background checks are quite common these days and rules about what prospective employers may ask applicants vary from state to state. Typically, prospective employers will be able to ask about convictions on your record. They may not be permitted to ask about arrests which didn’t lead to convictions. As well, jobs where money is handled, or “sensitive” jobs in general, including law enforcement jobs and government agency jobs, may be more difficult to attain. Social shame is one primary disadvantage of getting a DUI conviction. People around you, in your own community, may learn about your conviction and judge you. While a lot of people do have DUIs, it’s safe to say that most of society looks down on those who drink and drive. So, you may find that this type of conviction is quite humiliating. It may negatively impact your image in your town, city or rural area. As well, it may lead to higher car insurance rates, so it will take a financial toll as well. State insurance rates vary based on a host of factors. However, it’s possible to have to pay up to thirty-three percent more for insurance after this type of conviction, or even more money than that! Insurance companies will put you in the high-risk category because you have a DUI. You will be costlier to insure. If you want to avoid paying an extra grand or more for insurance per annum, it’s best to take a cab or get a ride after you’ve been drinking. If you’ve already been convicted, you will need to shop around and compare premium rates from different insurance companies. Your conviction will definitely boost the cost of auto insurance coverage. A drunk driving attorney will be able to help you understand your rights with regard to your DUI charge or DUI conviction. Legal advice from a lawyer who specializes in helping those who been charged with drunk driving or convicted of drunk driving is often more affordable than you might expect and it’s definitely worth paying for. If you don’t understand your rights, you may end up giving out information that you don’t need to disclose or having a conviction on your permanent criminal record, even when getting your record expunged is very possible. You should look for an attorney with experience. Your lawyer should be licensed to practice law in your state and he or she should specialize in drunk driving cases. A great lawyer will be professional, caring and responsive and he or she will charge rates that you can afford. The Law Office of Daniel Griffin is able to offer all of these things. The key to getting the help you need is contacting our office today and arranging for a consultation. After you’ve done so, you’ll know where you stand. You’ll access sensible legal advice. It’s possible to move forward from a DUI conviction and have a happy life. Much is still possible. However, until your record is expunged, you may find that you are stuck paying high insurance rates and that you’re closed off from a lot of career opportunities. This is why trying to get your record expunged is a worthwhile goal. We don’t recommend trying to do this without a lawyer at your side. Your chances of success will rise when you have capable legal counsel working for you. Attorney Daniel Griffin specializes in helping clients just like you. We know that you need help and we know how to help. Also, we charge fairly for our services. Attorney Griffin’s goal is to help you access your rights under the law and to let you know what those rights are. Don’t settle for a permanent criminal record. Instead, make a plan for the future by hiring us to try and get your criminal record expunged. We have helped so many people to put their drunk driving convictions behind them. We are pleased to help clients build stronger foundations for future success and we want to help you move forward. After you’ve hired us, we’ll gather information and begin to build a case which may lead to an expunged record. We will be committed to helping you get your conviction off of your record. Also, if you’ve been charged with a DUI, you should contact us as soon as possible. We want to help you avoid a conviction if this is possible.